The world is a mess. Between global warming, economic devastation, world-wide poverty, energy famine, literal famine, pollution, and all of the world's other problems, no one wants to live in the real world anymore. Luckily, they do not have to. Thanks to the genius, James Halliday, everyone has access to a free, virtual world. OASIS, like its name suggests, is mankind's refuge from itself. The intricately designed world is the most elaborate videogame ever created. People are fully emerged in whatever world they choose, everything from the classics like Pacman and Dungeons and Dragons to futuristic simulations. All you have to do is plug yourself in. Needless to say, Halliday made a fortune by creating his own world. And now that fortune is up for grabs since the old genius has experienced his final game-over. Staying true to his unorthodox roots, Halliday does not have a normal will. His multi-billion fortune, ownership of his company, and the rights to all of OASIS are not given to one person. Instead, the entire world has the chance to fight for it. Halliday has hidden clues in his vast virtual universe guarded by countless obscure 80's pop culture references and puzzles that would fool Einstein himself, and the first person to follow the trail and find the treasure gets to keep it. And one geeky, impoverished kid named Wade is willing to do anything to get it. I am not an 80's kid. Not even close. But, I still really enjoyed this book, which is truly a testament Cline's characters, story, and writing. I will warn you now: This book is FULL of 80's pop culture references. 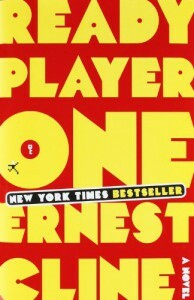 But, I would recommend this book to all pop culture fans, even if you are not up to date with your 80's trivia. I certainly am not, but that did not stop me from fully enjoying this fantastic adventure novel. Come to think of it, I am not really a video game fan either (I have terrible hand-eye coordination that has stopped me from truly enjoying any kind of intense video game). But, you do not have to be a video game fanatic to enjoy this book (though you fanatics out their will truly love all of the obscure references). The action and adventure is not specific to the games and can be enjoyed by anyone. The characters, world-building, and plot were the true winners in this novel, even though the trivia was a nice touch. Let's start with the characters. Wade is the standard geek. He has devoted his life to winning this contest so he can get out of the terrible lot of life he is stuck with. He started the novel as an naive, idealistic-to-a-fault kid who did not know how cruel the world can be, especially in a dystopian alternate future. I loved his development. He became so much more than an isolated geek and embraced his personality. The secondary characters do not have much of a role in the first half of the novel, but I really loved all of them, especially Aech and his many secrets. Their stories resonated with me. Even though he is not alive during the course of the novel, I feel as if James Halliday is one of my favorite characters. Even posthumously, his character is developed so much more than I have ever seen from a dead guy. He was eccentric, obsessive, and geeky as all get out, but he was also the heartbeat of the novel (which is ironic because he did not have one). For a futuristic dystopian, the setting and world-building was surprisingly unique. I was a little bit skeptical about reading about yet another book set into the not-so-far future where the world is completely messed up. There are so many ways for this setting to go wrong, but Cline avoided almost all of them (the exception is blaming most of the destruction on global-warming and environmental stuff, which I can forgive). There was impeccable detail into the inner workings of the world. Nothing was left to the imagination. The gritty, dirty, corrupted, and downright scary was all described in detail. Then, there was a plot so complicated and twisted that I could never guess what was going to happen next. When you read the blurb you think, "That's it? All they have to do is find some key? I could do that in my sleep with both of my hands tied behind my back." Even though I do not question your abilities, no one that I know would have been able to even come close to finishing the puzzles. It was one of the most intriguing and complex treasure hunts that I have ever read. The clues were so clever! I really wish that this book was a video game so that I could try my hand at the madness. And there is so much more to the plot beside the video game. There is tragedy, heartbreak, love, indentured servitude, masterful plans, and evil plans all outside of the OASIS. I also love the diversity in this novel. At first, Ready Player One does not scream diversity at you, and that is one of the beautiful things about it. The diversity is subtly, but distinctly, woven into the plot and not treated as its own separate entity. It is just a part of the story. Personally, I think that this should be prevalent in every book, some taste of diversity that does not try to overtake the storyline. Ready Player One's stunning world-building, dynamic characters, convoluted plot, and perfectly integrated diversity earned five stars, even from a 80's and video game newbie. 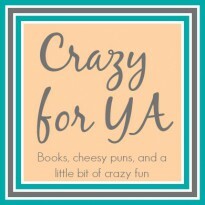 If you liked this review, there are many more on my original blog, Crazy for YA.